Freezing temps may have you itching for a warm getaway, but we think it’s more fun to embrace winter’s romance. but we think it’s more fun to embrace winter’s romance. What better way to fight cold-weather blues than with a little booze? 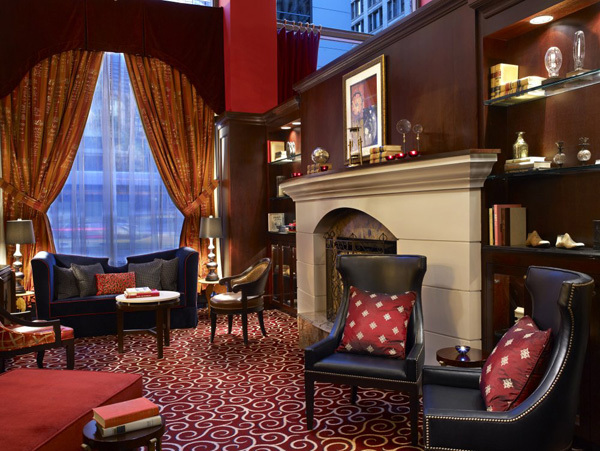 Hotel Burnham in Chicago is warming you up with a dash of whiskey. The Whiskey Lovers Package includes a tour for two to nearby Koval Distillery, the Windy City’s first since the mid-1800s. You’ll also receive a $25 American Express card to use towards transportation, a bottle of Koval to take home and late checkout (you know, for nursing that inevitable hangover). Better yet, sip the bottle fireside in Hotel Burnham’s cozy lobby and when you’re nice and toasted — oops, toasty — head up for an in-room spa treatment. The Revitalizing Hot Stone treatment melts away stress and cold. Set in Colorado’s Rocky Mountains and surrounded by the White River National Forest, Park Hyatt Beaver Creek Resort & Spa is a winter playground for skiers and snowboarders. This season, the chateau-style Vail resort is enticing outdoorsy enthusiasts off the slopes with its new hillside hot tub bottle service. 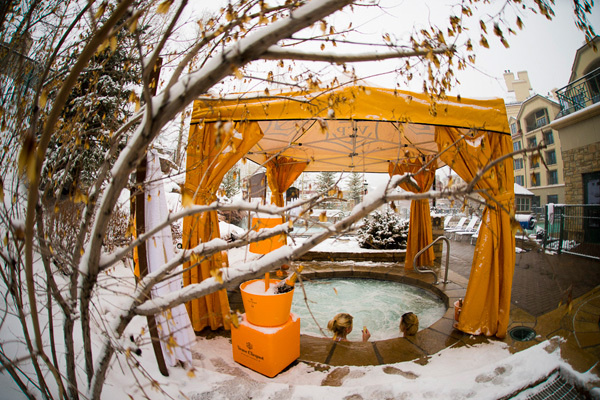 Yes, you read that right: snow, hot tub, you and your friends, and a bottle of Veuve Clicquot or cocktails. This over-the-top experience includes a dedicated waitress to satisfy your cravings for the resort’s famous truffle popcorn or keep you warm with heated towels and plush robes. 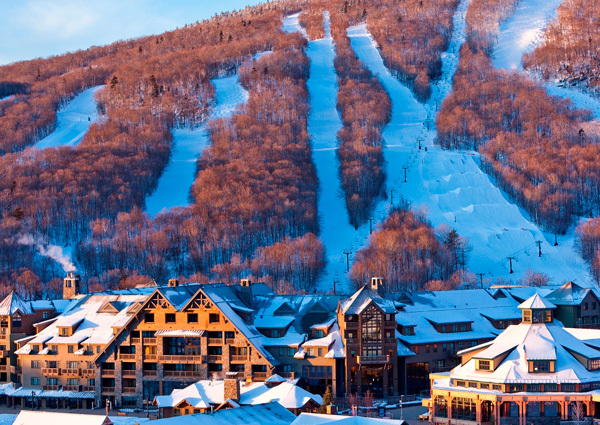 Warm up your body and mind with Stowe Mountain Lodge’s spa-focused Wei to Wellness package. The two-night stay fires up the best that Vermont has to offer, including a Mindful Snowshoe Tour. Based on the Shinrin-Yoku principle of forest bathing, the guided walk is designed to relieve stress and improve overall mental health. When you’re done exploring New England’s snow-covered countryside, get your blood flowing again with a visit to the spa. Here, unlimited access to a set of hot baths and salt scrubs prep you for a 50-minute Lotus Wei flower massage. Top it all off with a Vermont cheese and wine sampling in the spa’s relaxation sanctuary. From dogsledding and sleigh rides to dinner in a yurt, Park City, Utah, is all about embracing winter. 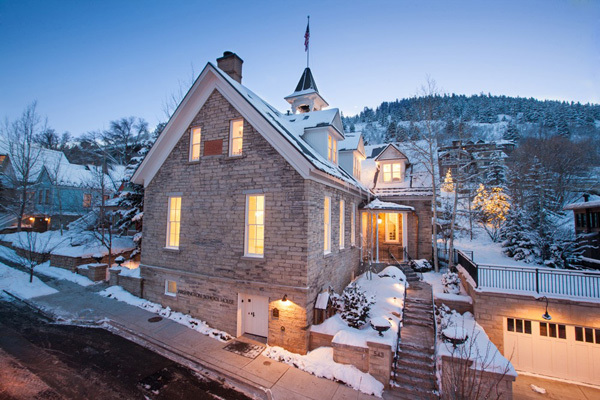 At Washington School House, you can get in the thick of it with the Passport to Park City package (includes skiing at three nearby resorts) or ditch the snow when you book the Skip the Slopes special. But even after a long day in cold temps, the boutique hotel has two great ways to keep you warm: yoga deep in a 10,000-year-old crater where you’ll strike a pose on a paddleboard inside the crater’s 90-degree natural pool, and a fireside melange (try the hotel’s signature Teacher’s toddy).